Hypnotherapy is a highly effective fast therapy that enables you to focus and engage in the process of change at a deeper level than other therapies. Incredible results can be achieved in just a few sessions. In Melbourne Clinical Hypnotherapy has become more widely accepted because of the impressive results it achieves by combining psychotherapy techniques with hypnosis. If you're wondering " Does Hypnotherapy Work ?" or " Will Hypnotherapy work for me ?" why not give us a call to have a chat, I'm happy to answer your questions. We look forward to welcoming you into our Hypnotherapy Clinic and providing you with a positive and effective experience of Hypnotherapy. More and more people are enjoying the benefits of Hypnosis in Melbourne, why not give it a try? *At Hypfocus we use the latest Therapy techniques combined with Hypnosis to help you take control of your life! As with all therapies results may vary. "Hypnotherapy is a powerful therapy that delivers remarkable results fast, by creating positive change to the mindset, behaviours and habits of people who are open to experiencing it. When I began to study Hypnotherapy and learned the extent of what could be achieved with it I gladly decided that my life would be dedicated to continuing to learn and engage in professional development, so that I can ensure that my clients experience the best Hypnotherapy Melbourne has to offer. " ​What Can Hypnotherapy Be Used For? Does Hypnosis Work? Who can Hypnotherapy work ﻿for? Anyone who can close their eyes and listen to the Therapists voice can be hypnotised for Therapy if they want to be. Hypnosis cannot be done against a person’s will, and is safe and effective for Adults, Teenagers and Children. Why Should I choose Hypnotherapy Now? Hypnotherapy is a tool that can help you, just as it has helped millions of other people, to take back control of your life. If you are feeling stuck in a condition or habit, Hypnotherapy can help you get unstuck using the power of your mind go resolve the issue that is causing the block. Hypnosis is an extremely efficient, scientifically proven, state of mind similar to that described by Artists and Athletes as ‘The Zone’. The naturally relaxed state of Hypnosis enables individuals to make rapid improvements to their lives through a process of learning appropriate new beliefs, releasing unwanted psychological/emotional associations, breaking habits, changing negative behaviour patterns, overcoming learned limitations and removing the root cause of symptoms. Hypnotherapy is one of the safest, most natural and successful therapeutic choices that we have available to us today for achieving positive change. Georgina Mitchell is an Accredited Clinical Hypnotherapist and Professional Counsellor in Mentone in the South Eastern Suburbs of Melbourne (Skype and Zoom appointments are also available for people further afield). 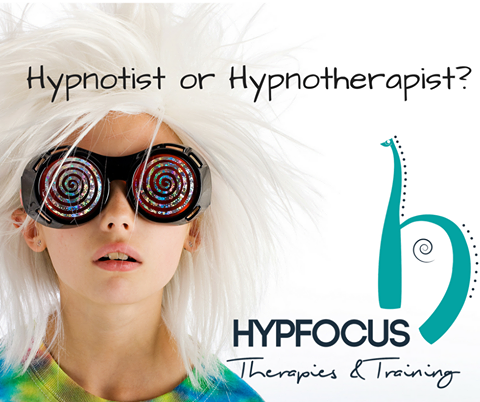 ​By choosing Hypfocus you are choosing a highly qualified professional in Hypnotherapy, Professional Counselling and Psychotherapy, specialising in the treatment of Stress, Anxiety, Weight Loss and Smoking Cessation. Studies conducted at Stanford University have shown that intelligence is not an important factor in determining a person’s ability to respond successfully to hypnosis; although statistically there is some evidence to indicate that persons with higher intelligence and greater creative abilities tend to be somewhat more responsive to suggestion, conversely children due to their vivid imagination make great subjects too. In fact the ability to be hypnotised is often a learned trait. You can teach your body and mind to go into trance just like in meditation or even when absorbed in a book or a movie, and get better and better at it as you practice self – hypnosis. In fact all hypnosis is self-hypnosis. Often when seeking out the best Hypnotherapist in Melbourne (for you), reading reviews can be useful. The best way as with most things is to seek a personal recommendation. I always advise people to ensure that the therapist is a member of the AHA, this is not perfect but it at least guarantees that they are trained sufficiently to achieved membership and that they are properly insured.